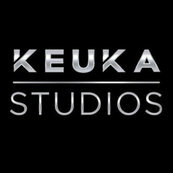 I cannot say enough about the quality and professionalism of the Keuka team. We had a custom cantilevered stairway and over 1200 square feet of deck railed in stainless steel with the Keuka Ithaca system on our mountainside home. The results are spectacular. Refined, discrete, letting the 2000ft views come through. The cantilevered stair way, L-shaped with a landing, is a metal work of sculptural quality. The Keuka features have added to the value of the home (by bank appraiser opinion) several times the cost of the materials and install. Dan came out to VT and did his own measurements. We then did several 3D online 'fly thrus' so we could visualize features before manufacturing started. Everything was expertly packed, shipped, and fit like a glove. Superb experience overall.